13 steps to bloody good wealth – the name sounds intriguing and captivating. Unlike his last non-fiction, the book’s name doesn’t boast the air of impracticality. However, that’s a gruesome allegation for the 13 steps to bloody good luck was nothing but pure practical implementable and effective advice. 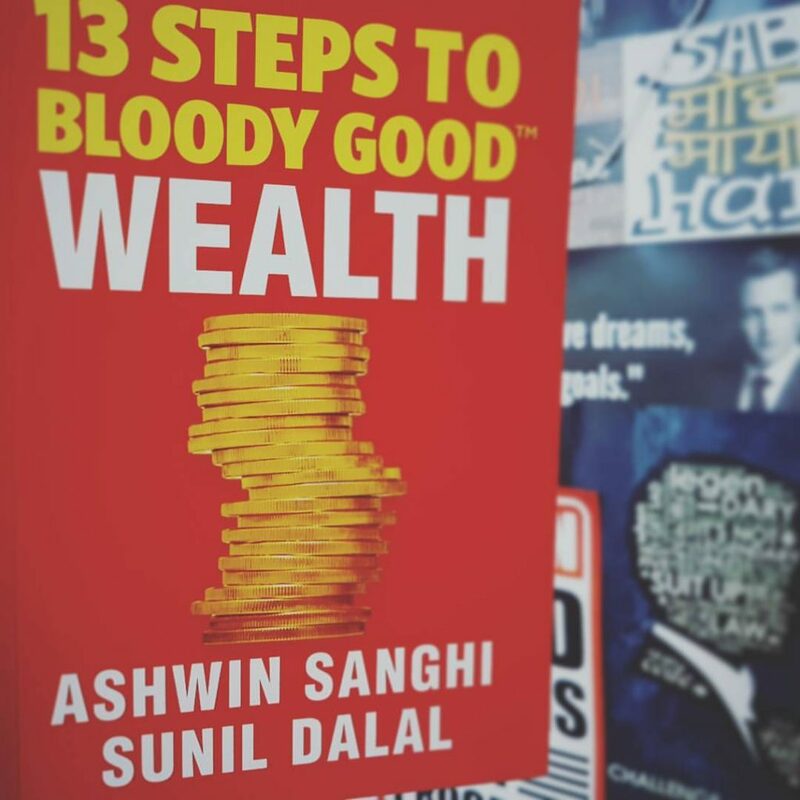 13 steps to bloody good wealth is another non-fiction which this bestselling Indian author has rolled out in association with his friend Sunil Dalal, whom he describes as a commoner who worked hard to learn all the tricks of the trade, which here is ‘accumulating wealth’. In the entire book, Ashwin Sanghi‘s presence could be felt only at few places where you find the anecdotes similar to his last non-fiction. The way these are placed seems strategic enough to get the reader hold his interest in the book, even when the subject of the book may get a bit bland due to the technicalities. 13 STEPS TO BLOODY GOOD WEALTH: What’s it about? Talking about the content of this book – 13 steps to bloody good wealth, the book has 13 secrets laid out in a strategic manner. However, unlike the last book, I found that the focus on the layout wasn’t emphasised on. The title and layout seemed to have been used just to leverage the success of the author’s previous book. However, that’s something barely a reader would notice. The book is loaded with useful advice on how to get wealthy. It begins with a very introspective discussion on what wealth really is, and urges the readers to define it for themselves; for wealth is different for different people. Once the author (mainly Sunil Dalal) is sure that he has made readers do that, he moves on to discuss financial planning for young individuals. He discusses what all one should plan for, and how to set financial goals that will build your dreams. The book moves into a deeper discussion, which at times gets complicated especially for the beginners, about how to invest money to make it grow. The emphasis is on making money work for you. Hence, the author discusses all the investment strategies in detail. This covers the major part of the book. Then the author moves on to discuss about tax savings and finally, leaves the readers on a deep introspective mode once again on how wealthy they want to be and what they need to do to chase that goal. Why read 13 steps to bloody good wealth? I speak as a person who has had several confusing discussions on how to invest properly. I understand the importance of financial planning already and it has been a pleasure to see the surprised faces of people of my age when I talk about my retirement. But still, my doubts about, where to invest and how to manage the money I have, bothered me a lot. That pretty much made me buy the book and read it. I appreciate the simplicity of the book and how the entire book was laid out to first tell people the importance of what they do and they need to do to have a great future. However, I strongly feel it could be emphasised a bit more but then I doubt a person who wouldn’t understand the importance of financial planning would even pick this book. So, taking that into consideration, I admire the beginning of the book. Catch My Video Book Review Soon On My Youtube Channel. Subscribe Now for updates. As the investment part covers the major chunk of the book, I would call this book more about learning how to invest. It has been explained in a very simple and brief manner. The authors have given a list of resources at the back of the book to continue reading on this subject for deeper knowledge. So, all in all, 13 steps to bloody good wealth makes a great book for very beginners and will give them a good start. I deeply loved the serious and brief thought the authors leave you with about how much wealthy you want to be and what you need to do to move closer towards that goal. Overall, I feel if this book was written one and half years back, it could’ve saved a lot of time of a 22-year old who knew she had to learn financial planning sooner than she thinks. 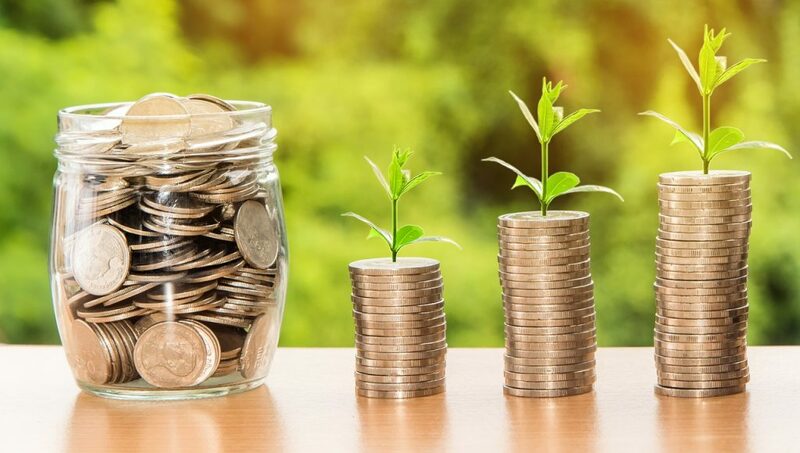 It would have definitely helped me save a lot of money as after having worked for about two years and earning more than an average engineer, all I have now is a purse full of coins in the name of savings (and investment). It somehow is never taught anywhere in schools and in colleges. I passed out as an engineer with no clue on how to truly earn money. This book can act as a great guide for every college pass out who is stepping into the real world and who truly wants to have a financially successful life. If you have gotten a bit late, a lot like me, then you must rush to buy your copy and start reading it. You’ll do yourself a favour. Also check my recommended list on My Best Personal Finance Books So Far to know about two more books which can help you to manage your finance and create wealth. personally in my 20s and these tips are great for someone like me looking to save to be financially independent in the future.